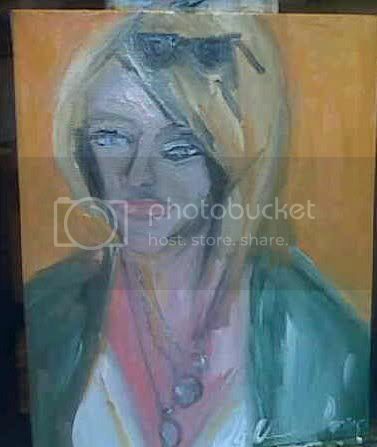 kinda rediscovered female artists the other day when i met claudia doring baez the other day at the chelsea art museum and she like, painted my portrait and it's selling for $6000 dollars. i will do a whole separate post on her later. 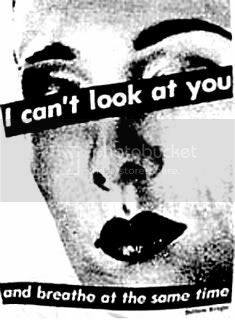 i wanted to talk about barbara kruger today and show you a few pictures to think about. 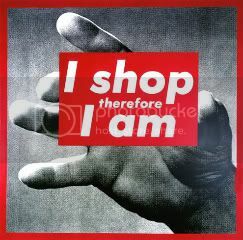 Barbara Kruger (born 1945) is an American conceptual artist. She was born in Newark, New Jersey and left there in 1964 to attend Syracuse University. After a year at Syracuse, she moved to New York, where she began attending Parsons School of Design. Much of Kruger's graphic work consists of black-and-white photographs with overlaid captions set in white-on-red Futura Bold Oblique. 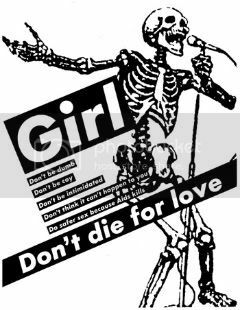 The phrases included in her work are usually declarative, and make common use of such pronouns as "you", "I", "we", and "they". 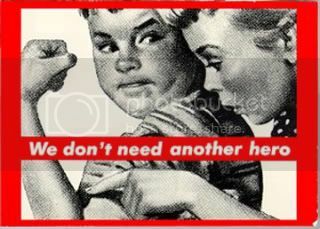 The juxtaposition of Kruger's imagery with text containing criticism of sexism and the circulation of power within cultures is a recurring motif in the work. She has said that "I work with pictures and words because they have the ability to determine who we are and who we aren’t." Kruger's works are direct and evoke an immediate response. Usually her style involves the cropping of a magazine or newspaper image enlarged in black and white. The enlargement of the image is done as crudely as possible to monumental proportions. A message is stenciled on the image, usually in white letters against a background of red. The text and image are unrelated in an effort to create anxiety by the audience that plays on the fears of society." this saturday april 18th is the end of her show at the skarstedt gallery uptown.